[CHART] Can You Guess This Stock? 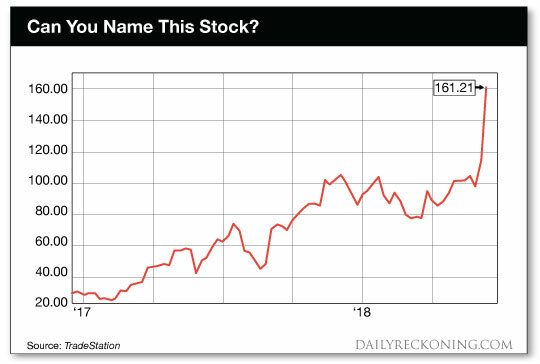 Pop quiz — Can you name this stock? This stock is in the red-hot retail industry. The company reported tremendous earnings this week. Strength is being driven by the vibrant U.S. housing market. The company is Restoration Hardware (RH), a home furnishing store that has been knocking it out of the park thanks to a convergence of two major trends in the U.S. economy. If you bought the stock at the beginning of last year, you’d be up 500% on your investment today. And the best news is that for RH — and so many other retailers in this industry — the fun is just getting started! This is a great time to be selling luxury products to American consumers. Ironically, as I write this alert, I’m sitting in my local Starbucks next to a table full of 9 different “entrepreneurs” discussing their business of selling luxury health products to consumers in our community. With unemployment levels at extreme lows, wages ticking steadily higher, and inflation readings well within a “normal” range, Americans just have money to spend! That’s exactly why the consumer discretionary sector of the stock market has been so strong, and why retail stocks like Restoration Hardware are on the move. Across the board, I’m seeing strength in restaurant stocks, apparel stocks, athletic gear stocks, discount retail stocks, and even auto stocks! Essentially any investment tied to consumer spending has a very good chance of producing significant gains this year. Hopefully you’ve already been paying attention to this area and making money on your investments. After all, we’ve been pounding the table about retail stocks for months here at The Daily Edge. Fortunately, even if you’ve missed out on this ramp in consumer spending so far, there’s still time for you to cash in. Because today, there’s an additional trend that’s helping to push a specific group of retail stocks even higher. Are you in the market to purchase a new home? Even if you’re not personally looking for a home to purchase, chances are good that you know someone who is. Perhaps even your children or grandchildren are getting ready to make their first real estate purchase. The housing market in the U.S. has been on fire lately. And that’s not about to change any time soon. Demographic trends are pointing to strong demand for new homes as young families start to move out of rental properties and invest in their own homes. With so many of these families delaying purchases following the financial crisis 10 years ago, there’s now a tremendous amount of pent up demand. If your family is anything like mine, you probably spent the first year making multiple trips to Home Depot (HD) or Lowe’s (LOW), buying furniture and having it delivered, and stocking up on everything from dishes and kitchen appliances to decorative items. Just over the past month, we’ve started to see investors take a renewed interest in home builder stocks. For a while, these investors were more focused on higher interest rates (and the potential for mortgages to become too expensive) than they were on the supply and demand dynamics in the housing market. That’s now looking like a big mistake as homebuilder stocks rally. Which is why I’m still very bullish on these stocks, as well as the retail stocks that will increase sales as more homeowners start furnishing their new digs. We’ve got an abundance of opportunity tied to both the expanding retail market and the recovering housing market. Today, you can tap into both of these trends by investing in stocks like Restoration Hardware that fit both the retail market and benefit from purchases that new homeowners are making. Home remodel stores like Home Depot (HD) and Lowe’s (LOW) are in a great environment right now. 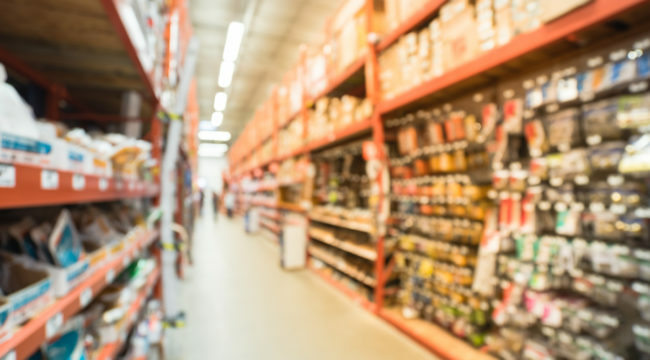 Not only are people buying tools and fixtures, but more discretionary items like plants, grills, and even luxury appliances are flying off shelves. When it comes to stocking cabinets and shelves, stocks like Williams Sonoma (WSM) have been booking profits and trading higher. I’d recommend buying any pullback in home decor stocks like this. And finally, home furnishing stocks offer great value. You may not think of La-Z-Boy (LZB) as a cutting edge retailer, but the company has new product lines that are in line with consumers’ evolving tastes. Don’t forget the widescreen TVs these new homeowners will be purchasing to watch sports this fall. Shares of Best Buy Inc. (BBY) have been trending higher, and there are plenty of other consumer electronic choices to consider for your investment portfolio. In short, there are tremendous opportunities in the cross-section between the retail and home buying markets. Picking a handful of stocks in these areas can go far in helping you to build your wealth as the U.S. economy grows.